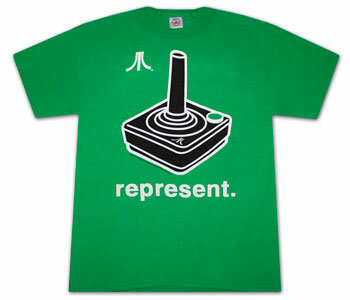 *** NEW *** Short sleeve green T-shirt with joystick from the Atari 2600 and the caption "represent.". Made of 100% cotton. All Atari merchandise is officially licensed.